Oysters are known as an aphrodisiac, a food, drink, or drug that stimulates sexual desire. In 2005, research showed that oysters contain rare amino acids that play a role in temporarily increase testosterone levels. The experiment was conducted using animals but cannot be directly proven to be effective on humans. There are nutritional benefits to oysters include: low saturated fats, high protein with low calories, and rich in vitamins and minerals like iron, zinc, and vitamin B-12. 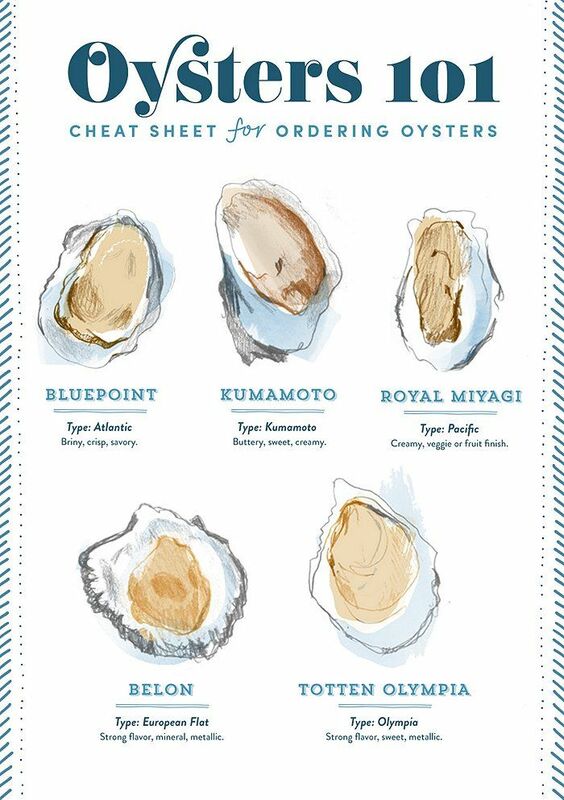 Different oysters have distinct flavors to them. Pacific oysters are sweet and creamy and Atlantic oysters taste briny and crisp. Oysters should be handled by highly trained professionals. Raw oysters can be contaminated with different types of foodborne illnesses. Vibriosis illness is a risk among people who eat raw oysters. Vibrio bacteria can be found in warm waters. According to the FDA Vibrio can be life-threatening to someone with liver disease, diabetes, or a weak immune system. You should make sure your date doesn’t have a shellfish allergy before ordering this indulgent seafood. If you plan on buying oysters, the best bet is to get them the day you plan to eat them. Your oysters should be fresh and alive. If possible, you should get oysters grown as close to you as possible or oysters that were transferred a short distance. If you live in California, the Santa Barbara Fish Company is a local commercial fisherman’s direct outlet to the public. A local restaurant that does a great job preparing oysters is Lure Fish House in Westlake Village, Camarillo, Ventura, and Santa Barbara. As long as you're aware of how your oysters are being handled and where they're coming from, you’ll have the perfect romantic dinner.